Contemporary witnesses and insiders such as President Paul Kagame describe the events and the failures of the international community. The genocide in Rwanda lasted from April to July 1994. The international community stood by and watched. In July 1994, the RPF-Inkotanyi or Rwandan Patriotic Front, led by Rwanda’s current head of state, Paul Kagame, managed to stop the massacre. 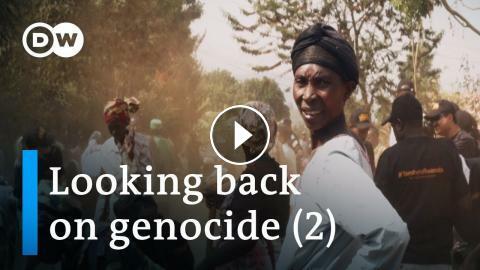 This documentary recounts those events chronologically and at the same time looks at Rwanda's history to the present day. Important players talk about the RPF’s military and political actions for the first time. Kagame, who first became vice-president, has ruled the African country since the spring of 2000. A constitutional amendment allowed him to run for office for a third time in 2017 and he was re-elected with an overwhelming majority. His opponents accuse him of using harsh repressive and dictatorial methods, but his followers point to Rwanda’s remarkable economic development and stability under his rule. "Inkotanyi: Paul Kagame and the Rwandan Tragedy” is the first comprehensive examination of this movement and its past and present significance. Contemporary witnesses, many with inside knowledge, address many of the questions that have remained unanswered since the genocide. In particular, the interviews seek to clarify whether the RPF’s leaders and foot soldiers could have acted any differently back then.